When talking about the LSAT, and particularly when examining test results, sometimes I like to analogize the LSAT to a casino. Yes, there is the chance that you can go into the test and lose your shirt score-wise, but what I’m really referring to is the somewhat random nature of the questions you encounter on the LSAT, and how that can dramatically affect test takers. 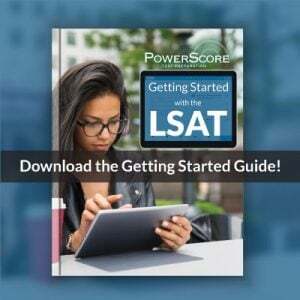 The LSAT is a standardized test, and while that means that certain elements are consistently tested, norming protocols are used, and the test is administered in a similar way each time, the exact content of the LSAT varies from test to test. Of course, every student already knows this—once you’ve seen a particular question on the LSAT, you won’t see that question again. But, what is more important is how the emphasis on each concept changes from test to test. For example, in the two Logical Reasoning sections of the October 2012 LSAT, conditional reasoning was tested on 12 of the 50 questions. But, in the two Logical Reasoning sections of the December 2012 LSAT, conditional reasoning was tested on only 8 of the 50 questions. This is where the casino effect comes in. If you are good at conditional reasoning, you want to see a test with more SN. But whether or not you get that is almost wholly up to chance. Sure, you’ll see some conditional reasoning on every LSAT, but certain LSATs emphasize those ideas far more than other LSATs. Get the test that is right for you and it can pay off big time. This variance in concept testing isn’t limited to just Logical Reasoning, or conditional reasoning, of course. For example, in Logic Games, some LSATs test Linear ideas more than Grouping, and on other LSATs that situation is reversed. While that may seem innocent enough, depending on your particular strengths and weaknesses it can have a significant impact on your final score. This, then, is the essence of the LSAT casino: when you walk into an LSAT administration, you are placing your chips on the hope that the test will break right for you and play to your strengths. You can’t control that outcome of course (any more than you can control a roulette wheel), but as in a casino, some people come out big winners and others don’t. However, don’t take this to mean that the entire test is chance and that you have no control over your results. The composition of each LSAT is out of your control. What is within your control is the strengths and weaknesses you have, because you can fix and improve those. If you know you have a particular weakness—Grouping games, for example—to offset the casino effect you have to work as hard as possible on them in order to eliminate that weakness. The goal is to ultimately become a player who has no weaknesses. In other words, to become a gambler who is good at every game in the casino. 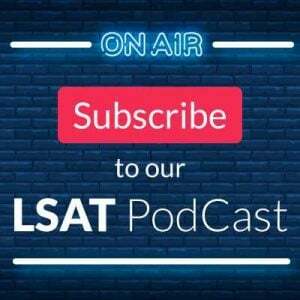 There is another benefit of understanding the LSAT casino concept, and that is when it comes to examining your practice test scores, and trying to understand why your scores may move up or down from test to test. Some students will take a several practice tests in a short period and be stumped as to why their scores varied from test to test. Sure, that sometimes occurs because you run into a difficult section or Logic Game, but it also occurs because the casino effect is in play. Some tests are simply better for you (resulting in a higher score), and others will unfortunately be worse (we all know what that means). In the end, when you see a slight score drop on a single test after you’ve been practicing for a while, take it in stride and realize that perhaps you were dealt a bad hand at the LSAT table. Regroup and work on the areas that troubled you, and then hopefully when it comes time for the real thing, you will walk out a big winner. Thanks for the message and I’m sorry to hear this test wasn’t a good one for you. The good news is that next test is a whole new spin of the roulette wheel, and from the looks of it, likely to yield a much better testing experience for you. I’ve yet to do a really deep dive into this exam since I’ve been talking with students since the test came out, but I know from doing it that in LR there are a lot of Must Be True and Flaw questions, and fewer Strengthen questions than normal. It could be that this alignment wasn’t great for your particular strengths and weaknesses. I also feel like there were some sly, tricky wordings in there, and that readers not reading carefully could miss key points rather easily. They hid a few things well, and at your level, just a few of those with this tight scale spells doom. That matches your difficulty assessment, and surely played a role for you. Here’s what I’d do: shake this one off. It happened, but it’s just one test. 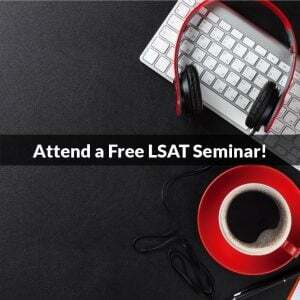 Take the September LSAT, and just keep on studying and getting better. Get even more familiar with how they work, and look to become as consistent as possible. Review relentlessly, and then go back in and nail it. That will erase the memory of this one, and put you back where you should be.